Perfect for work or play. 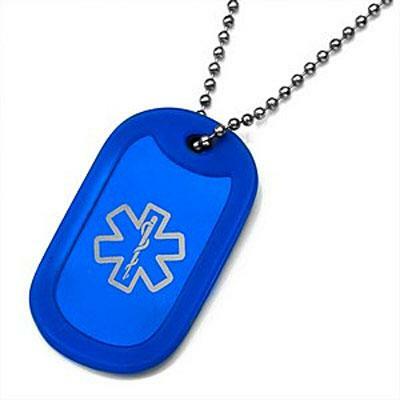 Our Royal Blue light-weight Aluminum medical ID dog tag necklace is a great way to keep your life-saving vital medical history around your neck. The front features the easily recognized caduceus medical symbol to alert medical professionals. This medical ID is available in 4" for backpacks or keychains or 24" and is easy to cut down to size . 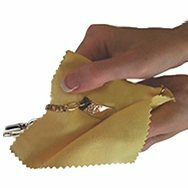 Price includes matching s rubber silencer and stainless steel bead chain at no additional cost.